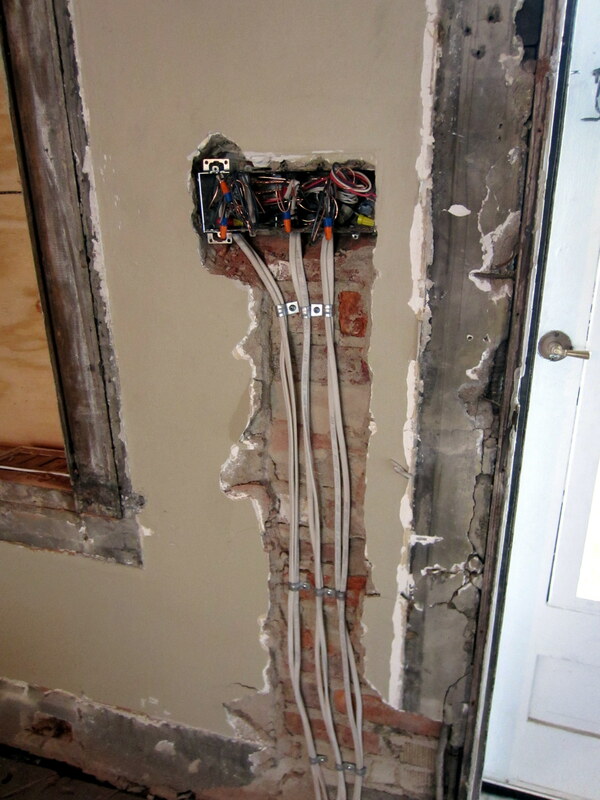 At the front of the house, there’s a gang of switches, and the electricians had to demo the plaster in this area to run the new wires. All of the casing around the doors and windows has been removed, as well . 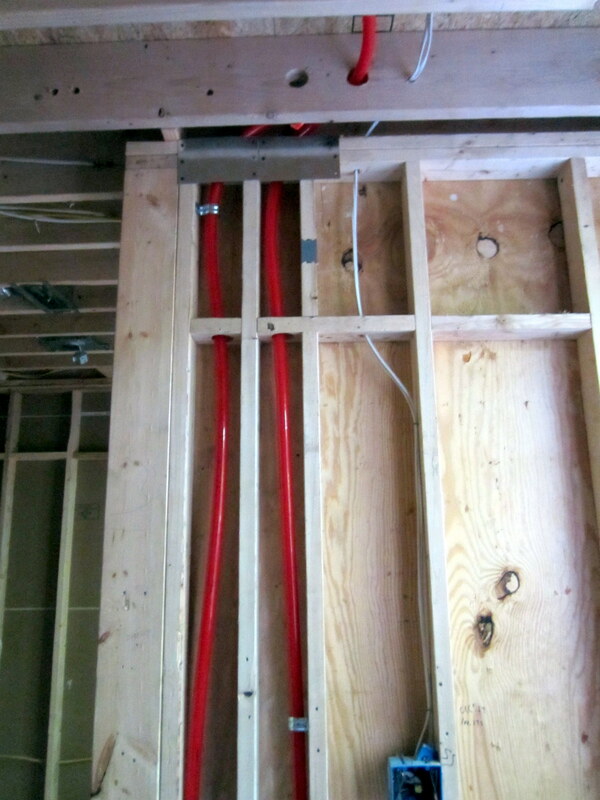 . .
Our powder room wall is more infrastructure pipes and wires than it is framing . 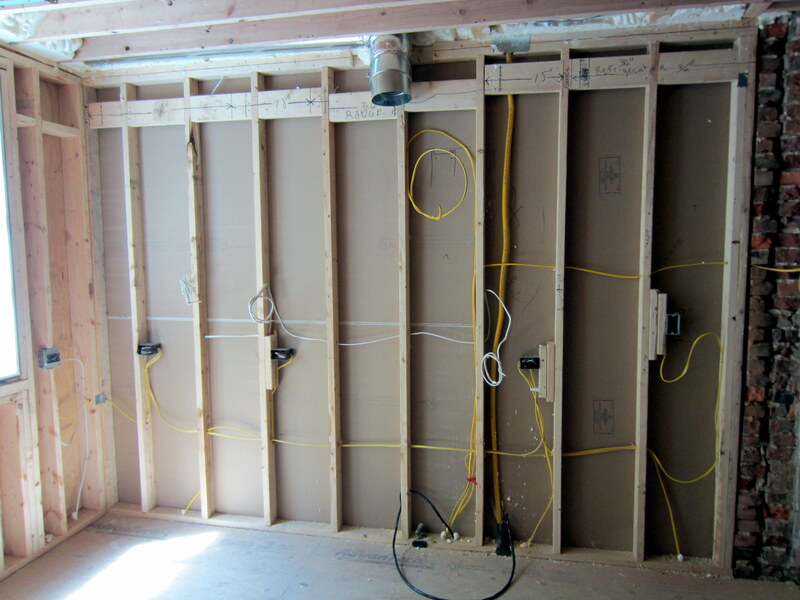 . .
To the south of the powder room, the pantry walls house plumbing and electrical, including bundles of electrical wires running up the end of the new wall from the electrical panel below to supply the second floor. 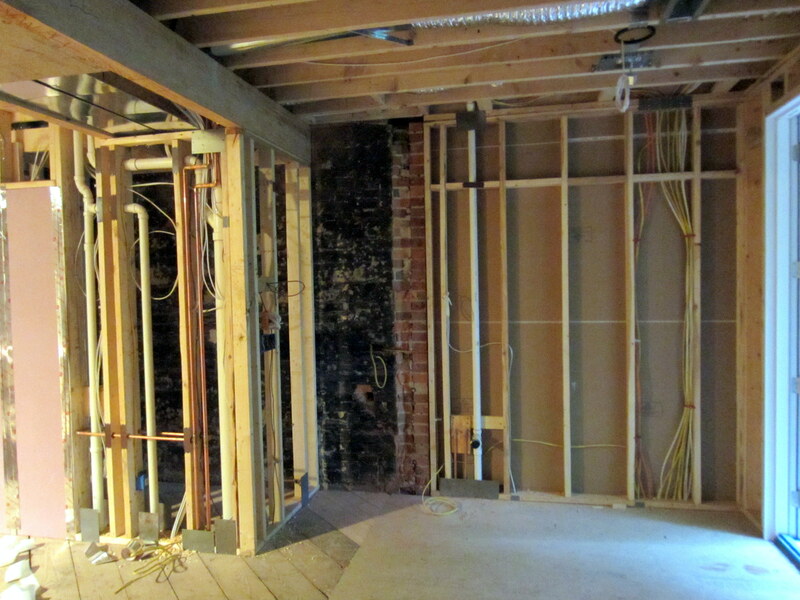 As with the second-floor walkthrough videos, this one does nothing but reinforce the exceedingly geeky interest we have in the renovation details. 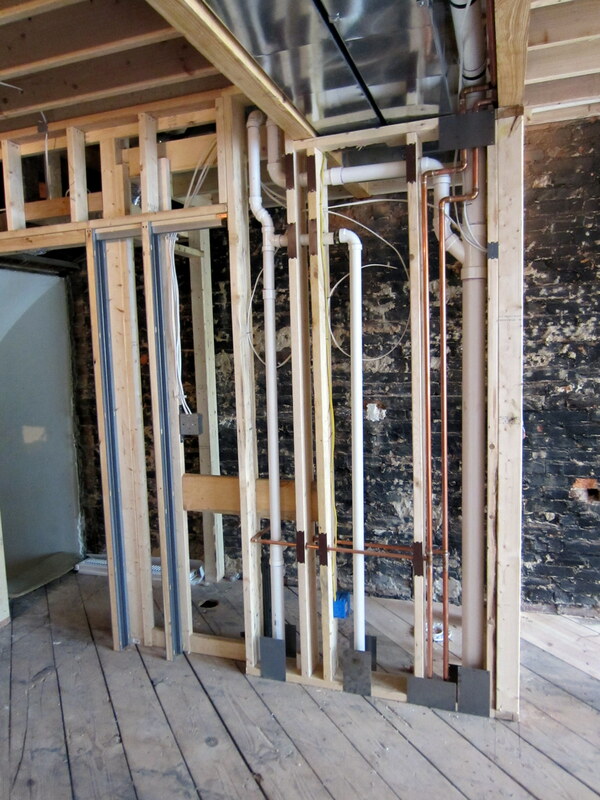 However, it does provide an interesting view of the house infrastructure elements in a different context. 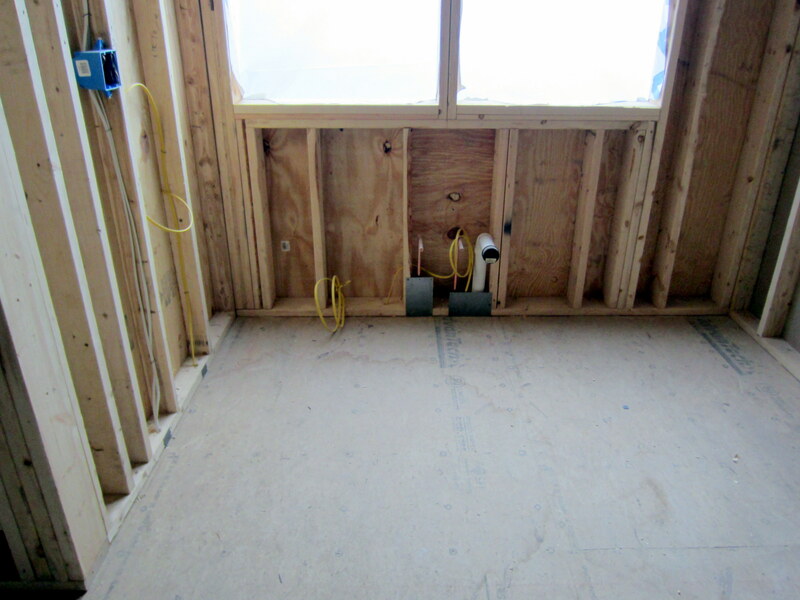 When you say the video shows “the exceedingly geeky interest we have in the renovation details”, who is the “we?”. Very thorough job. Yeah, one of us is admittedly a little more engrossed/obsessed with the process.